When it comes to the holidays, I'm all about tradition. 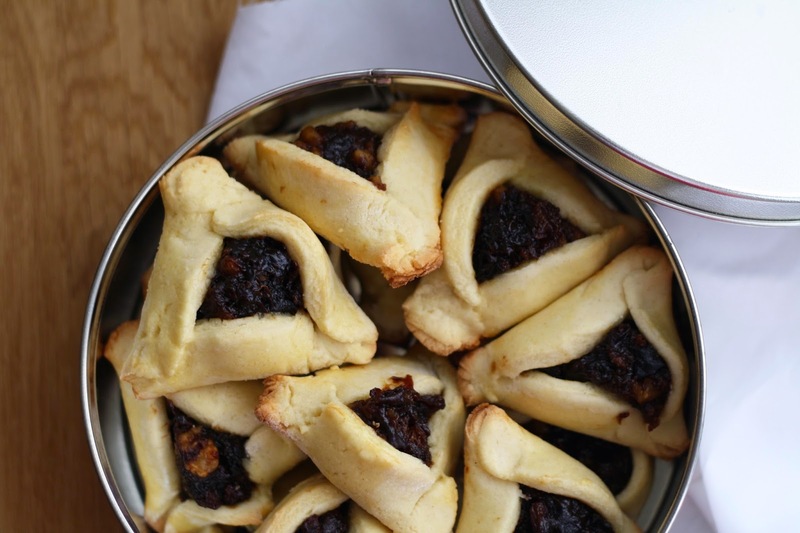 When I was a kid, Purim meant noise makers, costumes and prune-filled cookies. 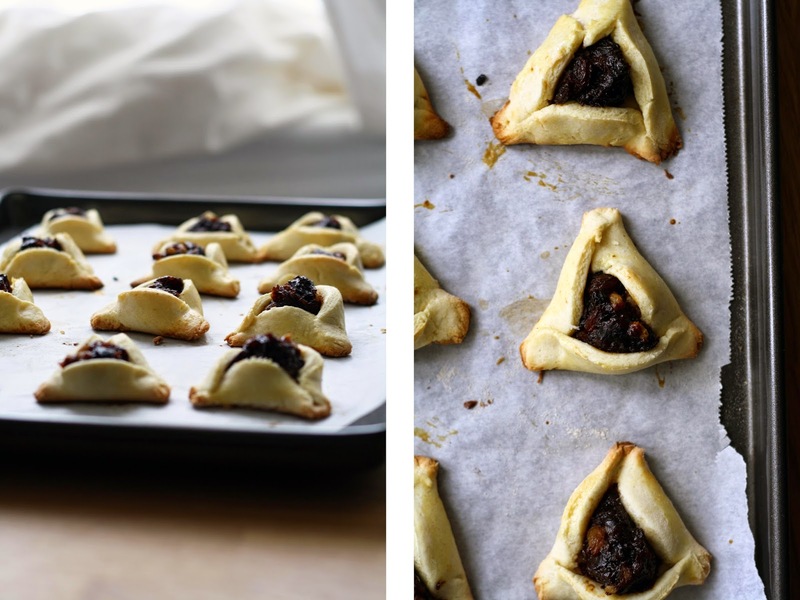 My sisters and I would gather around our kitchen table and make hamantaschen with my mother -- she would prepare the dough, and we would help out with the rest, somehow always ending up with flour up to our elbows. Since being in Toronto, I've attempted to make hamantaschen without my mom, but could never quite get the dough right. The consistency would be off, and the triangles would explode in the oven, loosing their shape and oozing filling all over the baking sheet. Fail. This year, I was determined to get it right -- simple, easy to handle dough, and a prune filling just like the one my dad used to buy (maybe even a bit better if you ask me). Chag Sameach! 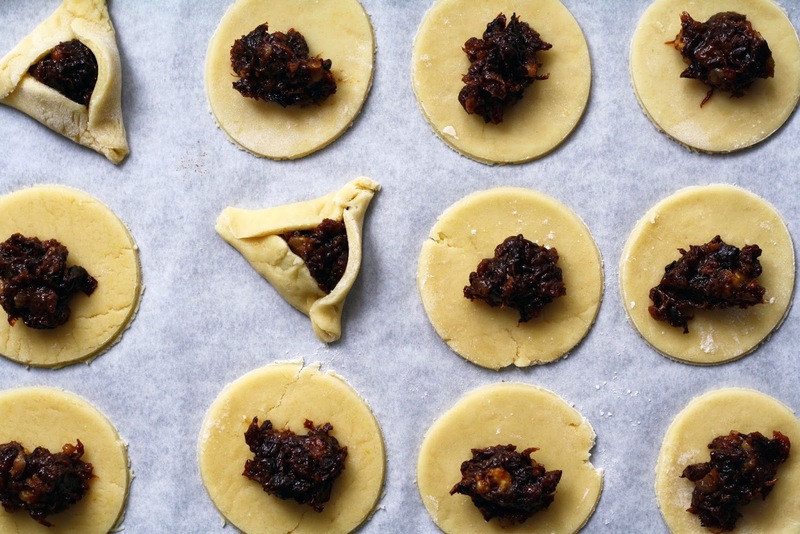 The dough steals cues from both the traditional recipe my mother uses (from Second Helpings, Please), and Molly Yeh's recent post. It needs to be refrigerated overnight, so plan accordingly! Also, you'll most likely be left with far too much filling -- I'm thinking of swapping out the filling on these later this week to use it up. In a separate, larger bowl, combine the juice, oil, sugar, eggs and vanilla. Mix well. Slowly add in the dry mixture, stirring to incorporate. Transfer the dough onto a countertop sprinkled with flour. Knead a few times with your hands, until the dough is smooth but not sticky. If the dough is too dry, add more juice (1 tsp at a time); if the dough is too wet, add more flour (1 T at a time). 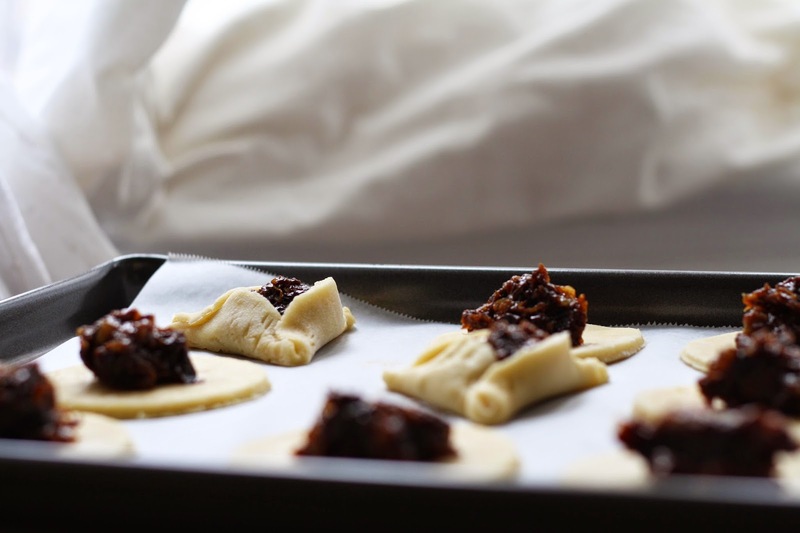 Divide the dough into 2 flat disks, wrap in plastic wrap and refrigerate overnight. To make the prune filling. In a small pot, combine the dried prunes, 2 cups of water and lemon juice. Bring to a boil, then lower to a simmer. Cover, and let simmer for 20 minutes. 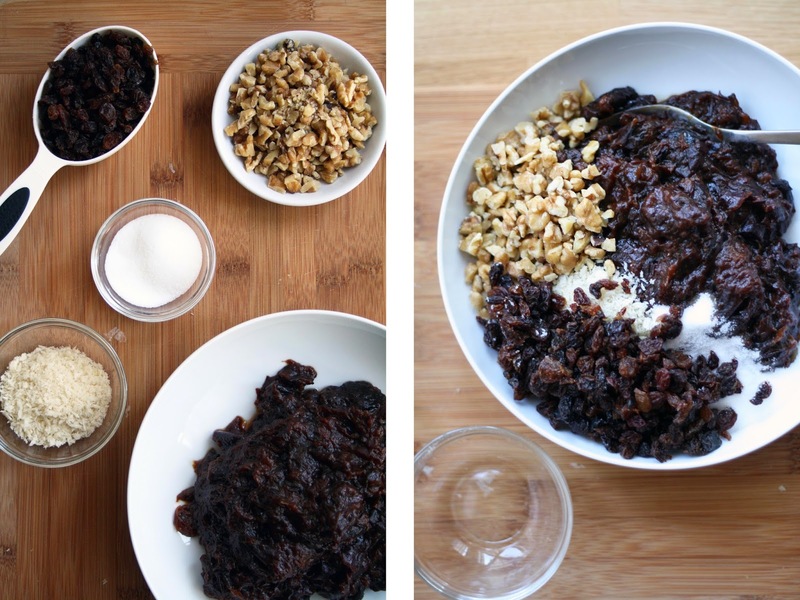 Pour out almost all of the excess liquid from the pot, and use a fork or spoon to mash the prunes into a 'paste.' Add all the remaining ingredients, stir to combine and set aside. Preheat oven to 350, and line 2 baking sheets with parchment paper. Remove one disk from the fridge and roll it out onto a lightly floured surface to 1/8-1/4" thick (if dough begins to crack, add a splash or 2 of water). Use a round cookie cutter (2-3") to cut out the circles and transfer them to the baking sheet. Repeat with re-rolled scraps, and second disk of dough. Once all the circles are ready, transfer a small spoonful of filling onto each. Fold into a triangle by folding the top left side over the right, and then folding the bottom upwards. Pinch the seams tightly to secure the shape. Repeat with the remaining dough. Brush each cookie with the egg wash.